A boy plays in one of the streets of Bhaktapur in Nepal's Kathmandu Valley. A "fisherman" shot. I liked the setting with the brick paved street and the coloured doors and so I set my self down for a minute or two and watched the world go by. 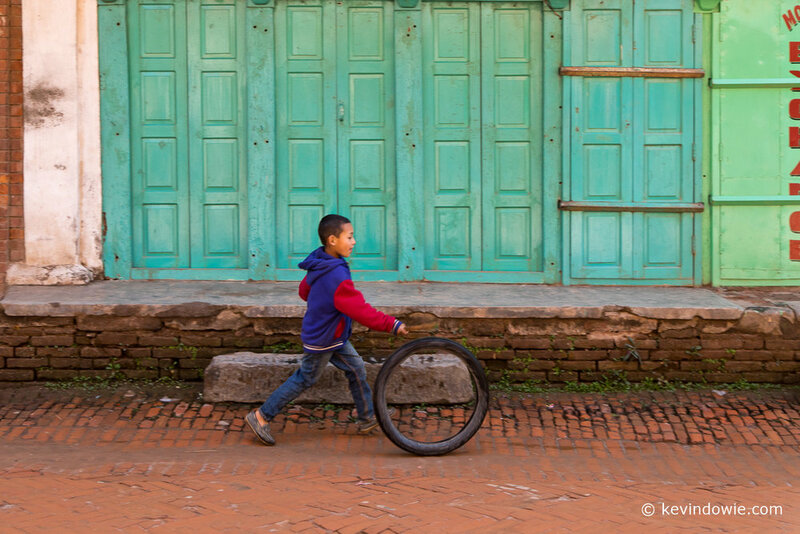 Boy playing with tyre, Kathmandu Valley, Nepal.